The Burlanes January Sale. AMAZING kitchen offer! If you’re thinking about buying a new kitchen, our January offer will help you make your mind up. 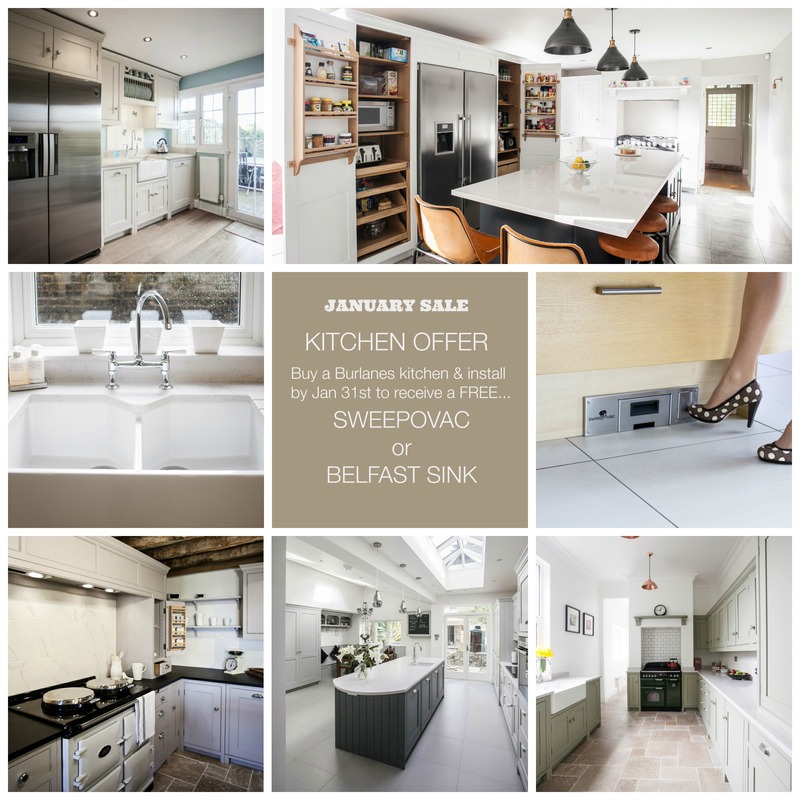 Buy a Burlanes contemporary or country kitchen with installation by January 31st and you will receive a FREE belfast sink or the insanely handy Sweepovac! Brand new to market the Sweepovac reduces your household work and makes life easier. It will remove all your floor sweepings in less than 3 seconds. It saves you having to bend down to use a dustpan. This insanely handy appliance is really quick because it is conveniently placed in your kitchen and requires no set up or put away time. Sweep the floor as normal, press the button and all the debris is sucked away! The Belfast Sink has been around for a long time because it is so incredibly practical, stylish and built to last. 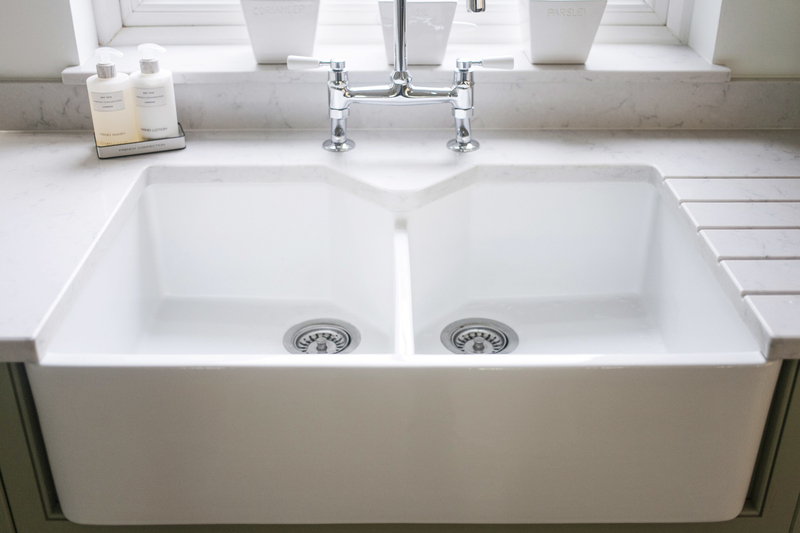 Naturally easy to clean the belfast sink is very resistant to stains and with the deep bowl it means larger items that don't fit in the dishwasher can being hand washed in the sink. With today’s contemporary kitchens and granite and quartz worktops, the belfast sink beautifully compliments any classic kitchen design that you choose. There couldn't be a better time to buy your dream kitchen. It’s best not to hang around though, so why not book an appointment with our head designer today and get things moving.